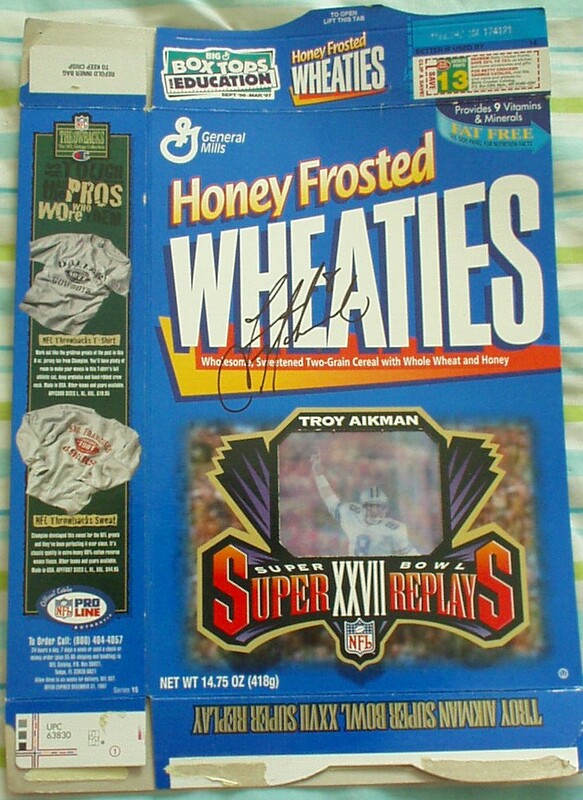 Honey Frosted Wheaties Super Bowl 27 Replays commemorative cereal box (emptied and folded flat) autographed in black marker by Dallas Cowboys Hall of Fame quarterback Troy Aikman. Has very minor flaws/wear. Suitable for framing. Obtained in person. With certificate of authenticity from AutographsForSale.com. ONLY ONE AVAILABLE FOR SALE.